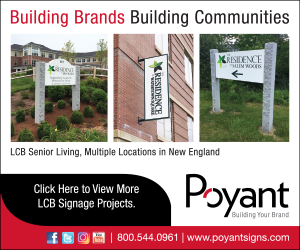 Quincy, MA – Callahan Construction Managers, a Bridgewater-based full-service construction management firm, recently completed a large-scale luxury apartment complex. The 492-unit, 688,664sf project is owned by the John Flatley Company and was designed by Sheskey Architects. Located in Quincy, Elevation Apartments at Crown Colony is comprised of eight buildings that include four five-story apartment buildings with garage, two six-story buildings with garage, a maintenance building, and a clubhouse. There are a total of 492 apartments comprised of a mix of studio, one-bedroom, and two-bedroom units ranging from 551sf to 1,363sf. Amenities include a clubhouse that has a lounge with a fireplace and TV, a clubroom with a bar, fitness room, restrooms, outside showers, swimming pool, and a large man-made pond with a Central Park area. “We appreciate the opportunity to work with the John Flatley Company to deliver such an important project in Quincy,” said Patrick Callahan, president of Callahan Construction Managers. Construction on the apartment complex began in July of 2016 and took 28 months to complete.